Employment history questions... On this page, you ask & I answer questions about how to handle your employment history on your resume. It seems there are many different ways to list your jobs and history of employment on your resumes. Of course, how you do it partly depends on the resume format you choose. But some of the confusion and variation can be due to specific situations in your work background too. So, it's not always super obvious how to go about listing your employment history on your resume. That's why I built this section of the site... so you could get (hopefully) answers that will help you figure it out! 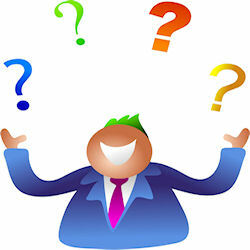 Click below to see past employment history questions from other visitors to this page. If you click on the question, you can see more detail, as well as my expert answers. Clicking the Comments link after the question/answer may provide additional feedback. Should I identify the names of the client companies I have worked with while in my current job? How do I include a nanny position on a resume? How do I enter working for a temp agency? How should I list multiple positions in one company?